There's no denying that entertainment technology has made leaps and bounds in recent years, specifically televisions. The high-quality television sets of today offer clear, stunning pictures that combine lifelike colors and details; however, their small speakers aren't known to produce lifelike sounds. Make the most of your home entertainment by turning to Titan Home Technologies for home theater equipment in Tampa. As a top-ranked home theater company, we're ready to give you a home theater room unlike any other. All spaces are designed with the highest quality equipment available to create the cinematic experience you desire, but in the comfort of your home. Don't forget to ask about our affordable home automation solutions, too. Are you considering adding a home theater to your home, but you're unsure where to start? Look no further than our local home theater store. Our company staffs experienced experts, who have worked in the industry for almost 20 years. We're confident that we'll not only design a space you'll love, but create a space that's truly a reflection of you. In order to do so, we first analyze your needs. Once we've determined your goals for your home theater or media room, our skilled professionals will get to work, bringing your design idea to life. Two-Channel Stereos—Every home theater owner will tell you that realistic sound is a must. Two-channel stereos offer that and more. Tube Amplifiers (Amps)—If you think amplifiers are just for musicians, you are mistaken. The truth is that amps are an integral part of a home theater, as they add drama to the sounds from the movie. 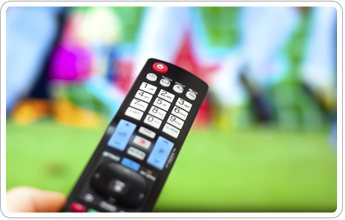 Remote Controls—Control every aspect of your home theater without the need for multiple controllers. Simply one of our remote controls, which can be programmed to control everything, from the projector to the audio equipment and more. Large Screen TVs—Most homes have at least one television set, if not more. Commonly found in bedrooms and living rooms, TVs are also found in home theaters because they're easy to use. Projectors—If you're looking for larger than life, nothing compares to the images produced by projector screens. Check out our vast inventory, as we have many items available to match almost all budgets. High-End Headphones—You don't want to keep the entire household awake while you binge watch your favorite movies. When you use high-end headphones, you don't have to worry. No matter the type of equipment you need, our home theater showroom is sure to have it. That's not all. You can count on one of our reliable and experienced professionals to help you select the proper equipment for your space, be it updated home theater audio equipment, a top-quality projector screen, or a large home theater TV. Take advantage of the lowest possible prices on brand-name home theater equipment. Simply contact us to find out which systems are right for you. We service homeowners throughout Tampa, Florida, and the surrounding areas.